Colin joins from IBM, where he was European Sales Leader and Cloud ERP Leader for Oracle. Prior to that Colin worked at Oracle for many years, most recently in a number of Sales Director roles including Head of Consulting Technology Sales in the Commercial and Financial Services Sectors. Colin will work close with Chris Baker, who leads the ERP Practice having joined Version 1 in January 2016. 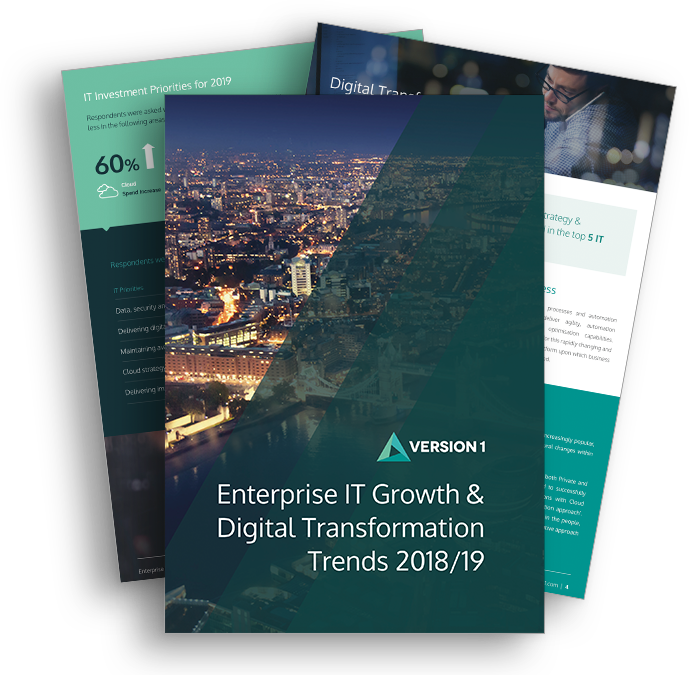 Version 1 now has more than 250 experienced ERP Consultants specialising in a range of technologies, most notably Oracle E-Business Suite, Fusion Financials and JD Edwards. The practice has grown both organically - with more than 25 new hires in 2016 and new multimillion pound Oracle Cloud Applications deals with the likes of University of Birmingham and through the recent acquisition of Beoley Mill Software in October. Version 1 is currently on a recruitment drive, looking for senior IT leaders, consultants and new graduates to join the team across its UK offices in Edinburgh, Manchester, Kent, the Midlands and London. Click here to view our current opportunities.